Congratulations on securing your new client. Now it’s time to set them up! Whether you’re setting up a new client or moving your first client from QuickBooks Desktop or Mac to QuickBooks Online, the process is not as difficult as you may think. This section is designed to walk you through the process, step by step, with easy-to-follow checklists. If your client is new to the QuickBooks family, setting up QuickBooks Online (QBO) is just a few clicks away. This checklist starts by working from the QuickBooks Online Accountant (QBOA) dashboard. Log into QBOA and look for the “+” symbol at the top right. This is the Quick Create menu. Make sure you are not in a client’s file. You must be at the Your Practice screen or the workflows below will not be there. Pretty simple, right? The new QBO file should already be listed on your client dashboard in QBOA. Click the next to your client’s company name to open the file. There are some settings you will need to look at on behalf of your client. If your client is a QuickBooks Desktop user, there is a wonderful conversion tool in both Desktop and Mac editions. Once the conversion tool has done its job, there are additional steps. For a detailed look at the steps outlined below, you can view a step-by-step demo of a conversion from QuickBooks Desktop to QuickBooks Online here. NOTE: The conversion outlined here is a transition from Desktop Pro or Premier. If you are converting from Enterprise or Mac, click these links to view additional conversion steps. If you need more detailed information on this topic, look at Module 1 of the QBO Advanced Certification course. It truly deep dives conversion. This video with PDF guide “Complex Conversions” is available in your QuickBooks ProAdvisor® tab or just click this link. QBO Advanced Cert: Module 1. I would recommend watching this at least once for an overall understanding of what could or could not happen during a conversion. Also, please be aware that if your clients want to convert inventory, they will be converting to FIFO costing in QBO. This same resource provides information on what to expect when converting inventory. Most of the time conversion is quite easy. Walk through it together with your client. I’ve split the process into three phases: Pre-Conversion, Conversion and Post-Conversion. This Pre-Conversion checklist starts by working from the QuickBooks Online Accountant (QBOA) dashboard. Log into QBOA and look for the symbol at the top right. This is the Quick Create menu. Make sure you are not in a client’s file. You must be at the Your Practice screen or these workflows below will not be there. 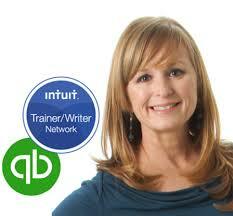 From the Quick Create menu, you will be adding the client into QuickBooks Online Accountant. Download the QuickBooks Online Conversion Checklist and follow all steps. Go to QuickBooks Desktop and verify the file is ready to move over to QuickBooks Online. The conversion tool is in the Company menu in QuickBooks Pro and Premier. Continue to follow the steps in the QuickBooks Online Conversion Checklist (Conversion section). If you are using Enterprise or Mac, you can still convert. Click these Enterprise or Mac links to review additional resources on those topics. You should have received the email from Intuit® letting you know the data has converted. In that same email, you can also access an Import Summary report to get more insights on the conversion. Now, log back into QBOA and click the next to your client’s company name to open the file with imported desktop data. You will need to have the QuickBooks Desktop file open as well. Now it’s time to perform some tasks to make sure the conversion was successful, and then do a little housekeeping. As previously mentioned, follow the steps in the QuickBooks Online Conversion Checklist (Post-Conversion section) to ensure you have successfully completed conversion. Congratulations! Now you can collaborate and work with your client in real time. No more exchanging Accountant’s Copies or thumb drives. There are so many benefits to transitioning our client to QuickBooks Online, and this is just one. Enjoy the new freedom that cloud accounting gives you both!